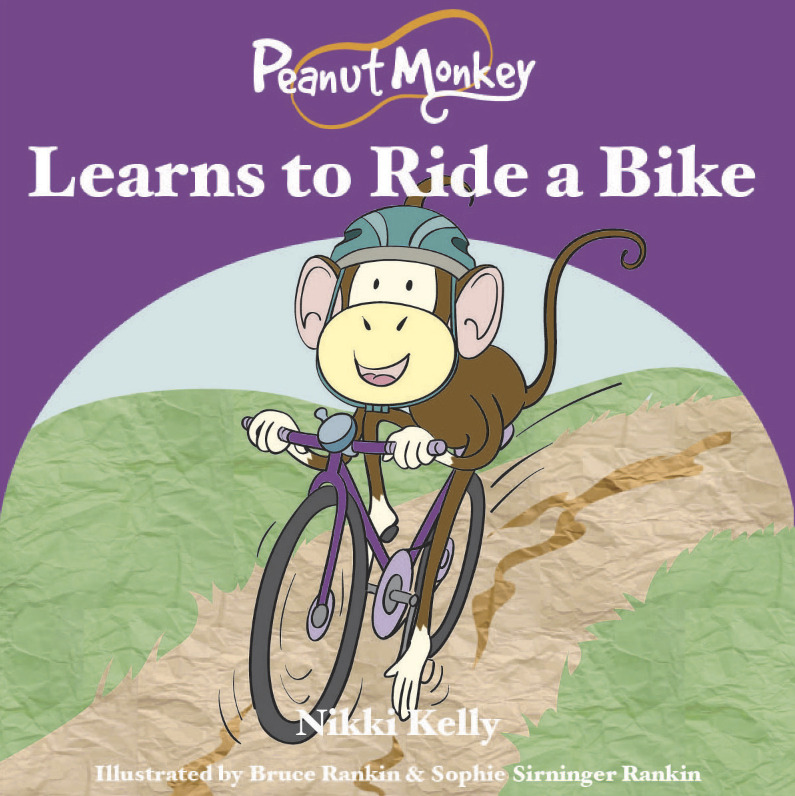 In the latest book Peanut Monkey finds himself wanting to fit in with his peers while learning to ride his bike. Upon being rejected by his peers he goes off on his own and finds a way to help himself and in his own endeavours to learn to ride his bike he finds a new genuine friendship. Intro: Alone - apart from the group of peers. Mid: Rejected by the group, ‘has a go’ at riding by himself. Fin: Another monkey approaches and asks to join him - becoming friends. Character undisturbed: Alone, yearning to fit in with the group. Growth: Makes his own fun and makes a new friend.